The NDIS presents huge opportunities but also poses huge risks. Penny Knight and Professor David Gilchrist, from Curtin's Not-for-profit Initiative, explain why there is a stronger chance for success if key players work together. The NDIS presents huge opportunities but also poses huge risks. Penny Knight and Professor David Gilchrist, from Curtin’s Not-for-profit Initiative, explain why there is a stronger chance for success if key players work together. The NDIS represents a great opportunity for Australians living with disability. It also represents great risk to those same people. When policy makers, industry leaders and commentators discuss the NDIS, along with aspirational ideas such as choice and control, they invariably talk about costs, prices, scaling, and rollout. These are incredibly important elements of the scheme and are essential to its success. If we don’t get them right, the people who the scheme is meant to help will suffer. For a scheme of this size and complexity though, the only way to get these things right is for all of the parts of the system to work together. The NDIS is one of the most significant social policy initiatives in Australian history and aims to improve the lives of over 450,000 people. But many of these people are also highly vulnerable and will be deeply and negatively impacted if the implementation of the NDIS does not succeed. The NDIS is, in reality, a joint initiative between governments, the more than 2,000 disability services providers across Australia (these are the Not for Profit and for-profit organisations that provide services) and the National Disability Insurance Agency (NDIA). The NDIA, charged with leading the rollout, is at the centre of the system but it is not the entirety of it. Collectively, these three elements form the core system that will determine if the NDIS meets the needs and expectations of people with disability and their families, and achieves its ultimate aim of improving their choice and control. However, the sheer size of the scheme, the complexity of services needing to be provided and the difficulty of funding those services via quasi-market rationing systems all combine to make this initiative highly complex and difficult for these key players to implement. To provide an indication of the scale, it is estimated that existing disability services providers will have to increase their service provision by 28 per cent every year for five years in order to service demand. Change of this magnitude needs to be managed closely and will rely on genuinely joined-up government and close cooperation between the key parties. It will also need careful management of key risks, such as the speed of rollout, the lack of data relating to the disability services costs and the capacity of the sector and new entrants to meet demand. Further, while it may appear in the press that the change is fully underway and we are just dealing with a few teething problems, the reality is we have only just begun. Truthfully, the payment and IT systems are some of the easier aspects to get right. There are a myriad of related government policy and services areas, such as education, housing and aged care that must now also be adjusted to accommodate the scheme. We also have yet to solve the issues of potential cost shifting between governments and government agencies, quality control and eligibility criteria all of which pose the biggest risks to the on-going quality and sustainability of the scheme. Read more: Professor David Gilchrist surveyed 180 disability service organisations across Australia in the 2014/15 financial year. 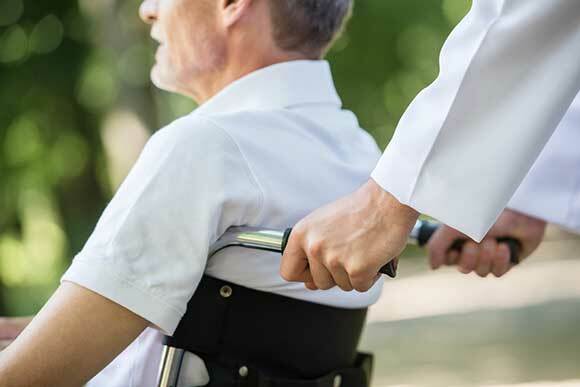 His new research found a significant number of disability service organisations lack the financial capacity to meet the increased demand from the NDIS. Recently, it would be fair to say that relationships between the key players have been stretched thin. But like it or not, effective implementation of the NDIS can only be achieved if the NDIA, service providers and governments work together respectfully and effectively, and keep their eye firmly on the goal of improving the lives of people with disability and not get bogged down in politics. This will require highly skilled leadership and genuine goodwill. Further, while the recent focus has been on the problems faced by the NDIA, the 2,000 or so disability services providers across Australia are under enormous pressure. They are unwavering in their support for the intent of the scheme and the aspirational ideas of providing service users with choice and control, but they lack the resources necessary to implement their own change processes and to invest in the infrastructure needed to respond to such a rapid growth in demand. Disability services organisations’ efficiency and capacity varies widely, just as it does across all commercial and Not for Profit industries, and there are some organisations that are well positioned to evolve. However, there are many organisations that are struggling or will struggle due to no fault of their own. For decades, disability services were block funded by state government agencies and, as such, providers designed their business models, service lines, relationships and resourcing around state government contracting. They became masters of the art of achieving the most within the funding envelope in which they operated. They either didn’t need to, or could see little benefit in, investing in client account management systems, new service development or indeed even determining their cost of service on at a unit level as these things had no impact on the amount or type of services they provided or the amount of funding received. But instead of acknowledging the reality of the situation, many sector commentators would have us believe that the lack of investment or growth of assets is the result of disability leaders having poor management skills or not striving for the highest quality of service. This is simply not so. To invest in unneeded assets or skills would have been simply wasteful. Similarly, because of the block funding environment, few organisations have large cash reserves or other assets they can use to fund change. We would all take a significant step in the right direction by changing the rhetoric and acknowledging that service providers’ lack of resources and capacity to respond to the NDIS is an artefact of history (and at the time, of a highly efficient use of resources and government oversight) rather than the result of poor skills or lack of motivation in sector leaders. We then need to recognise that, like for-profits going through major industry change, Not for Profits need money and support to transition. There are many examples of governments supporting transition of for-profit sectors, such as the motor manufacturing industry and the developing support provided to the taxi industry in response to the introduction of Uber. This support can be provided in a number of ways including in relation to a locally responsive rollout which is sensitive to local conditions and social drivers, infrastructure funding focused on the provision of the tools, and change management processes necessary to effect the outcomes sought. To ensure a high return on transition funding, it will first be necessary to develop an industry reconstruction plan that will direct resources at both the macro or industry level and the micro or individual organisation level. Such a plan would provide a much needed blueprint for the sector, giving it the direction it needs to make decisions regarding the deployment of its very scarce resources and providing guidance leading to effective decision making regarding such activities as collaborations and mergers. The NDIA and the various other government agencies can also use such a blueprint to prioritise their focus areas, create a realistic roll-out timetable and to allow them to work with the disability services sector effectively. If the NDIA and governments can develop a more respectful and collaborative relationship with the sector and develop an industry plan that lays out a clear way forward, all parties will be better able to set aside politics and destructive rhetoric, and work together to get the NDIS over the line. David Gilchrist is a chartered accountant and an economic historian. 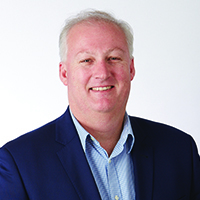 He holds a PhD in economics from the University of Notre Dame Australia and is currently director of Curtin’s School of Accounting Not-for-profit Initiative. 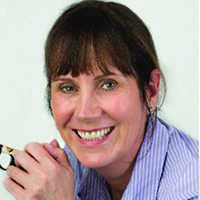 Penny Knight, also from Curtin’s School of Accounting Not-for-profit Initiative, is a strategist and researcher. She is an expert in the development of evidenced based strategy and in change management, and has extensive knowledge of research and data analysis, performance management and reporting across a wide range of sectors.